Nokia Lumia 1520 phablet stretches Windows Phone 8 to a 6in screen with more real estate for watching movies and Office duties. 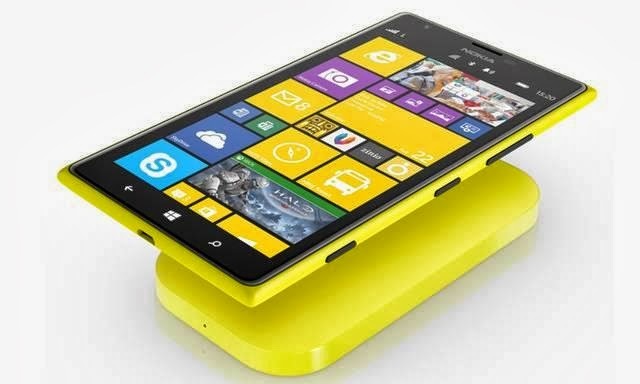 Nokia announced its largest Windows Phone to date on Tuesday, revealing a 6in full HD-screen Lumia 1520 phablet with a 20-megapixel PureView Camera. The Lumia 1520 comes less than one month after the release of Samsung's latest in its popular phablet series, the Galaxy Note 3, which garnered much attention for its 5.7in screen and S-Pen stylus, and takes Windows Phone to new screen sizes and into a new category. Nokia's solidly built and colourful phablet - an oversized smartphone, or small tablet - resembles the slim profile and colourful polycarbonate design of its smaller Lumia 1020 and 925 Windows Phone brothers, but features a 6in full HD screen that makes watching movies and Office productivity easier. High-end specifications The Lumia 1520 packs high-end internal parts, with a top-of-the-line 2.2GHz quad-core Snapdragon 800 and 2GB of RAM, which should easily be able to handle multi-tasking and demanding apps and games. A built-in 3,400 mAh battery with wireless charging provides up to nine hours video playback or 29 days standby time. To store music, movies, apps and games, Nokia equipped the 1520 with 32GB of storage as standard, plus a micro SD card slot for adding up to 64GB of extra storage. Microsoft is also bundling 7GB of SkyDrive cloud storage with each 1520. Nokia also brings some technology from its top camera phone, the Lumia 1020, to the 1520. Eschewing the 41-megapixel sensor for a smaller 20-megapixel camera, the 1520 has optical stabilisation and oversampling technology for a two-times lossless digital zoom and shake-free pictures, which should make indoor low-light photos better with less blur and noise. Using the 20-megapixel camera, Nokia has also added the ability to refocus a picture after taking it, using some clever Nokia-developed software algorithms, while the new Story Teller app allows you to browse your photos in a timeline and across map locations provided by Nokia's HERE maps.